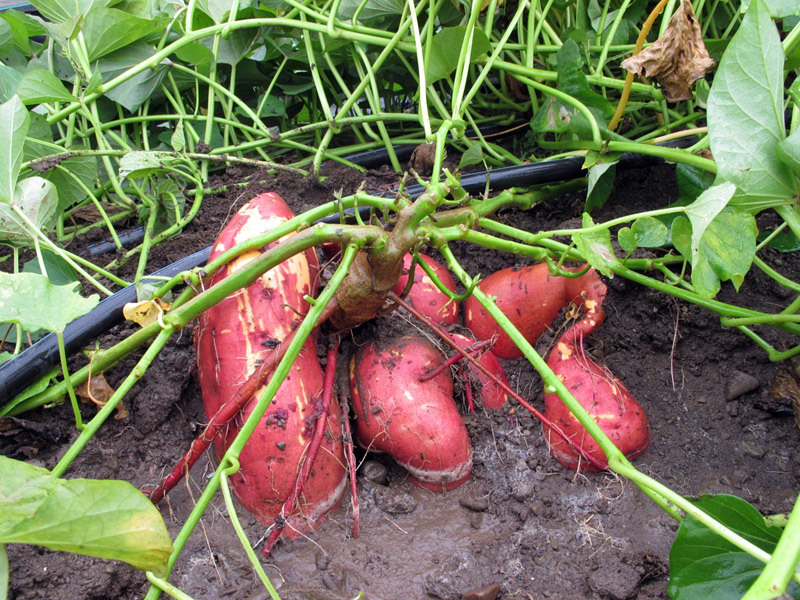 Sweet potatoes are a straight-forward but frost-tender crop – they thrive in hot conditions and are drought-resistant once established. They don’t need high soil fertility levels or a lot of organic matter. Field planting comes later than most spring crops, leaving you free to deal with other transplants first. Likewise, after the vines cover the ground they need little attention during the summer (apart from watering) until harvest. One baked sweet potato of 114gm (4oz) has 185% the RDA of vitamin A, 28% the RDA of Vitamin C, 100% of vitamin E, lots of anti-oxidants, and 160 calories, none from fat. 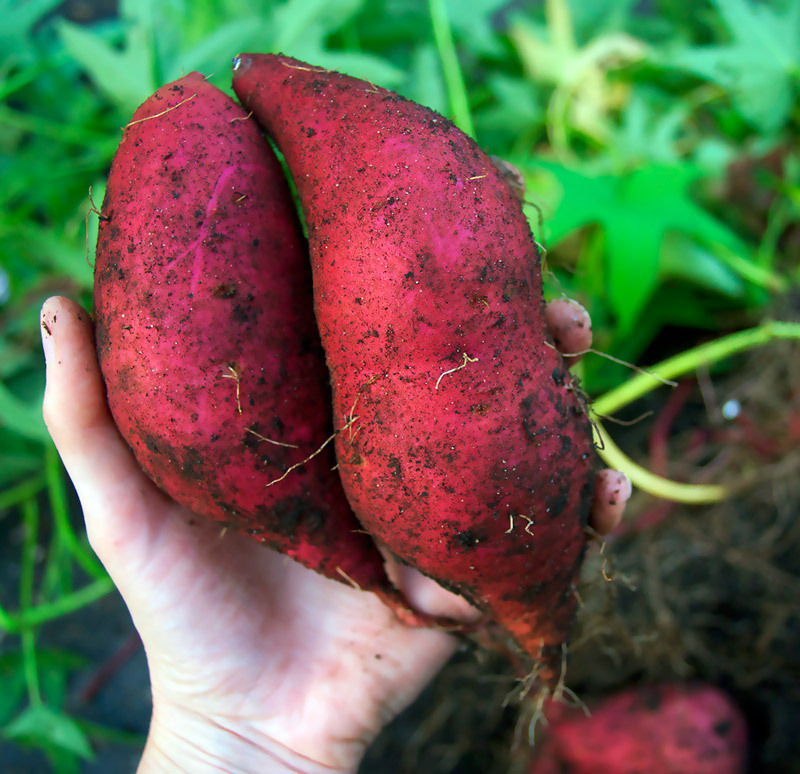 Modern varieties such as ‘Georgia Jet’ can grow to a good size in only 90 days, so sweet potatoes are not just for the South! As well as the traditional orange kinds, there are purple, yellow and white ones. There are ornamental kinds used for city beautification. 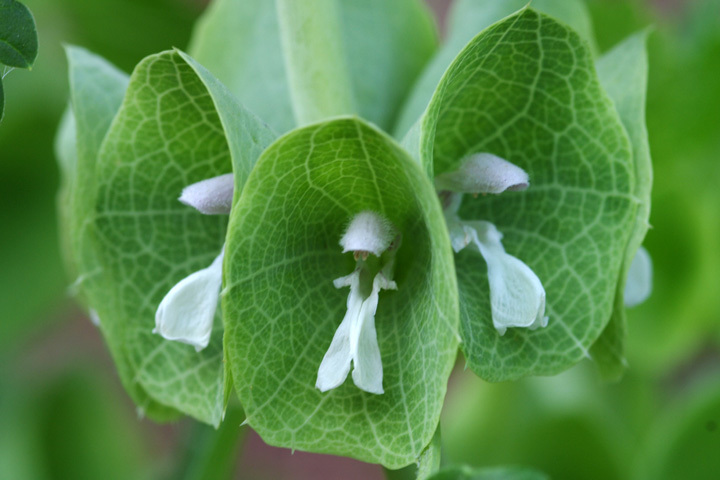 Some have fancy-cut or heart-shaped leaves. There is the ‘Bunch Porto Rico’ which has short vines, ideal for those with not much space. We grow ‘Beauregard’, ‘Georgia Jet’ and a white variety we don’t know the name of. 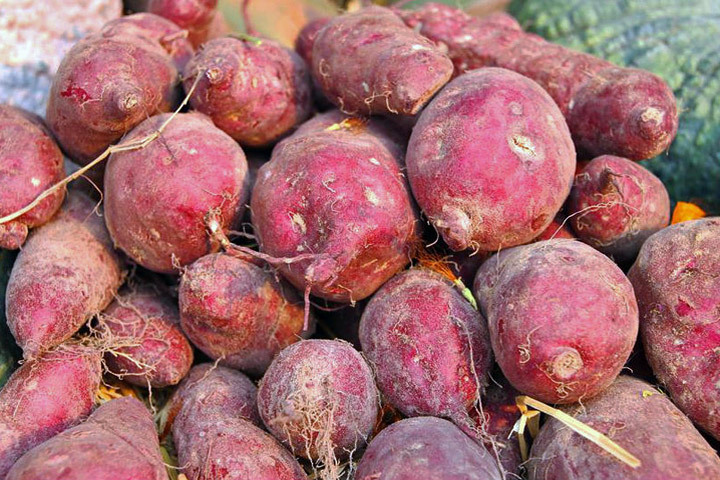 It is less sweet than the orange varieties, and could be an alternative to “Irish” potatoes for people seeking food self-reliance in the south, where Irish potatoes are prone to diseases, and it is not recommended to replant ones you’ve grown. 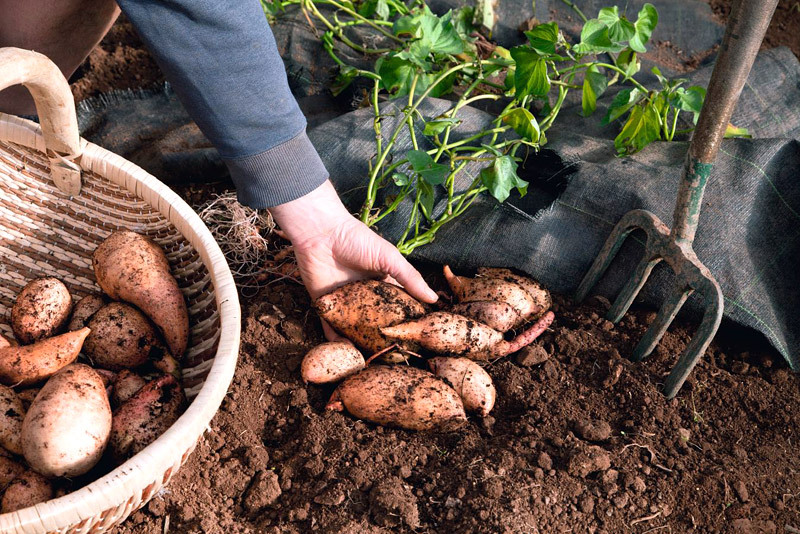 You need sunshine and warmth to grow sweet potatoes. It is not simply the number of days since planting, or your winter hardiness plant zone that create heavy yields, but the growing degree days (GDD, accumulated heat units). 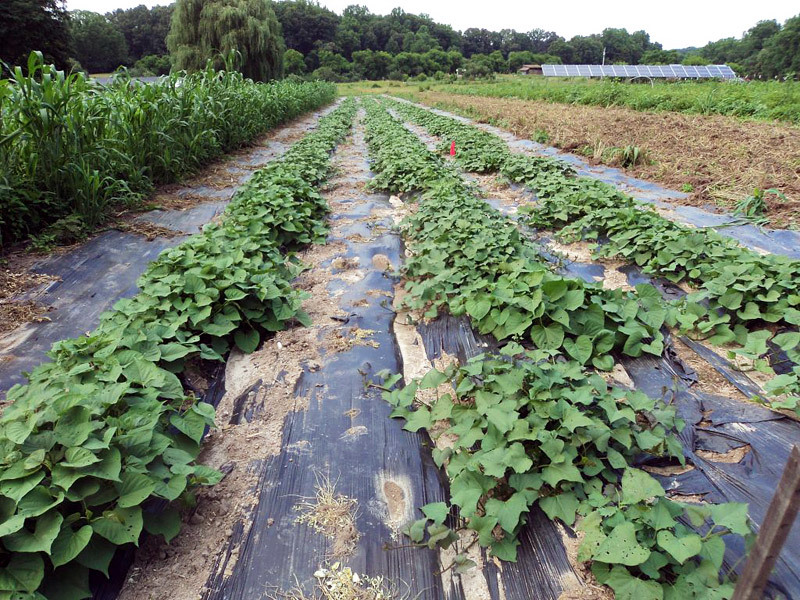 We like biodegradable plastic mulch because it warms the soil, and we get higher yields. After keeping the weeds down for a few months, it biodegrades, so we don’t have to remove it and cause heaps of agricultural plastic trash. 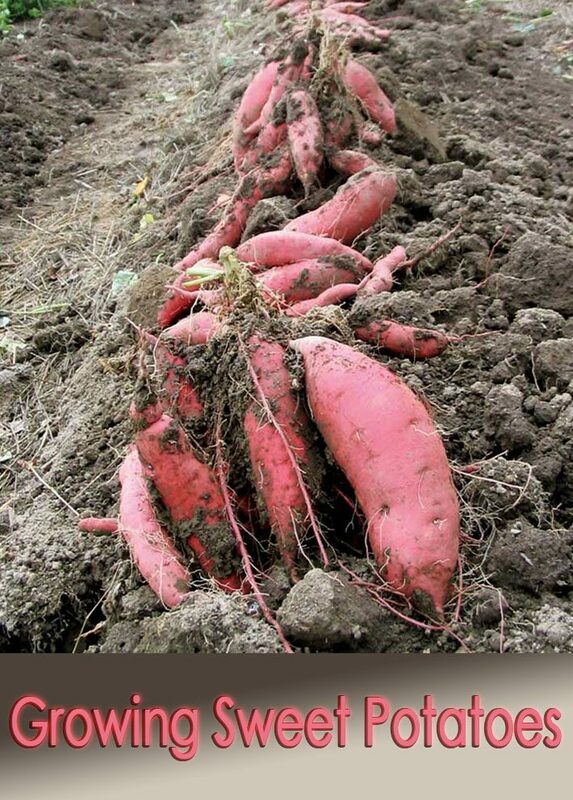 It’s especially suitable for vining crops like sweet potatoes and watermelons, because the vines cover the ground as the plastic disintegrates, and weeds have little chance of growing. 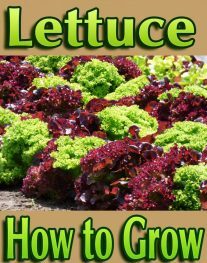 Your plants won’t seem to be growing much during the first month after transplanting. Don’t worry – this is the root development stage. Roots can dive 8’ deep in 40 days. 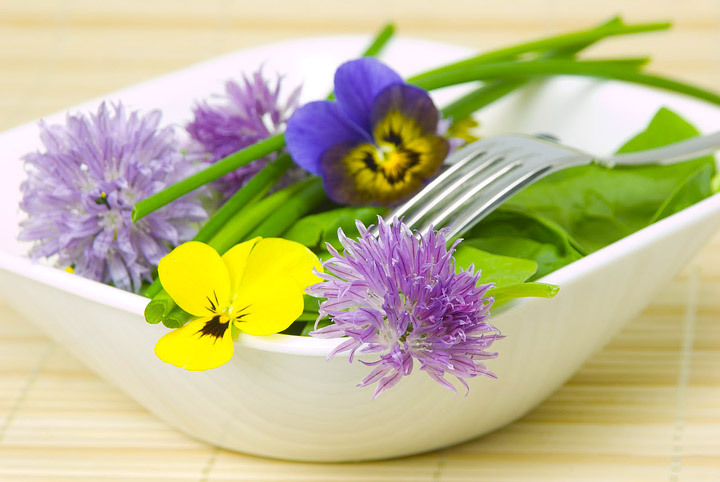 Give an inch of water per week as needed, and pull weeds. The second month or so is the vine growth stage. The roots begin to store starch and sugar close to the base of the stem. After the vines cover the ground very few weeds will grow. We often do one walkthrough to pull or clip pigweed. Don’t worry if the vines root along the length sporadically – it does not reduce yield, even though you may have heard otherwise. When holidaying in Spain a couple of years back we bought some sweet potatos from a supermarket. We cooked them and when we took out first mouthful both Jeff and I looked at each other and at the same time said “chestnuts”. The taste was nearly identical to eating chestnuts. We tried to find them again but nobody could tell us the variety. Have you ever heard of or tasted this variety?